Now, in considering just how free ish now is, a really bright grad student and one local linguist came up, through various intermediate discussions, with the question of whether you could actually get the ish without something that it is meant to be attached recoverable in the context. That is, in the example above, the idea is that the answer is 'richish'. We've been looking around for examples where this connection isn't so clear, which would point to a more liberated form. So, some questions: (1) To speakers who have this form, is this a good sentence? (2) If so, the answer would be 'anyone-ish', right? Does anyone-ish work for anybody as a word? The answer is "yes-ish", isn't it? Of course "-ish" as a suffix goes on adjectives, so traditionally we wouldn't have said "he's a cop-ish". So several funny things are happening at once. -ish can traditionally attach to nouns too, right? Boyish, girlish, etc. But 'anyone' is from a closed class. Like Lane (I think), I read "ish" as applying to the whole thought: Can I do x? Yes ... ish. Sort of. Not really, but we're having fun here. No, anyone-ish doesn't work for me. Yeah, I took it as meaning "sort of." If "greenish" means "sort of green" it's as if (in this use) the "sort of" applies to "what you said." I'm not sure I'd go so far as to say it means "yes-ish," but rather than it's applying to the proposition "It's true that X". Damn, where's my semanticist when I need her? So, then, this DOES sound like the kind of highly DEgrammaticalized use that Joe was talking about. Does the sentence sound grammatical to people? I think instead of saying "-ish" goes on adjectives, I'd say adding "-ish" makes an adjective. As I'm thinking about it, I'd say that I'm used to seeing "-ish" used to make *quantifiable* adjectives. So maybe instead of just "sort of," a more accurate definite of how I use it would be x-ish means "sort of, but not completely, x." So richish = sort of rich but not a millionare, a boyish haircut doesn't make one a boy but merely like a boy in some aspect, etc. I understand immediately what they mean by "Yes. Ish." but it does not feel grammatical. I would define it as "Yes. Sort of anyone." not "Yes. Sort of but not completely anyone." I can't quite capture it, but for me it wouldn't fall into the standard usage of ish. "Universalish" is the closest I've manged to find to a thought that matches what they're trying to communicate, uses the "ish" form, and feels gramatical. 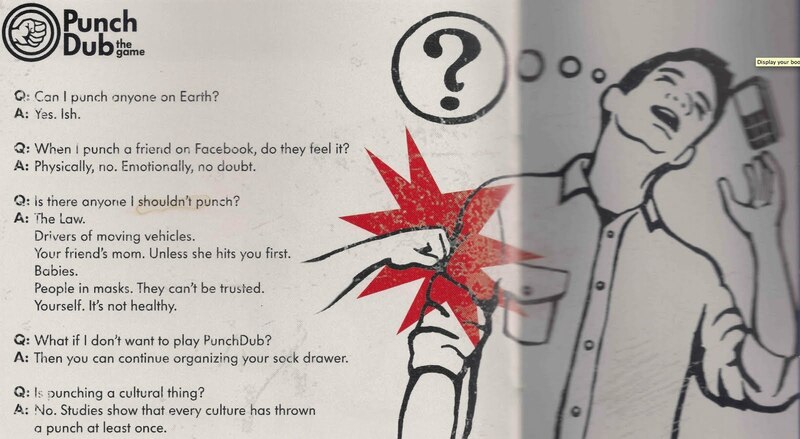 "Can I punch anyone? Is that universal? Yes, [universal-]ish." Still awkward, though! I would define ish as "nearly." Nearly rich, for sure, and in this case to me it clearly means nearly anybody. Anybody-ish is totally grammatical for me. However I'm noticing that it requires a longer pause than some others, which maybe is just for easy parsing but still, seems to be significantly longer. So this is an example of something that happens quite a bit for English. What makes it noticeable is the morphological loosening, rather than anything fancy with the functional extension. The fact that I'm not the only one who rejects the "bound" forms that "-ish" would render if it attached, suggests of course that there's no sense in which this is a bound form. I'll be curious to see whether the speech-act-operator use is more frequent than the scalar operator use in this stand-alone occurrence type. Let's face it, though, the fact that it has attracted this much notice points out that this was a brilliant marketing decision, i.e. this probably represents the extreme edge of acceptable use at this moment. Mr. Verb: It sounds grammatical to me, though I don't personally use it. And I'd agree with the others who have said that it essentially means "sort of". I'm totally in agreement with all of the above. Ish. I am wondering why exactly you think this is a case of DEgrammaticalisation. Granted, the proposed parameters for an item to be grammaticalised are not always straightforward with Lehmann proclaiming a decreasing scope and others like Cheshire associating grammaticalisation with an increase in scope. With this in mind, I would be initially careful to call an item 'grammatical'. And the question of whether something sounds grammatical is an additional problematic factor in analysing language. Sometimes, intuition does not suffice as an explanation. Maybe it would not be a bad idea to draw up a table of what we know about '-ish'; e.g. The fact that the phrase which is modified by this '-ish' suffix can be ellipted is interesting because it points at the relative independence and autonomy of '-ish', like lexemes. It is clear however that '-ish' refers to the precedent. Seeing that this precedent does not need to be expressed, you could conclude that indeed '-ish' is multi-referential; otherwise, surely, we would need to express the referent. So, I suspect that, initially, the referent was an assumed adjective. However, over time, whole propositions and other phrases have become part of the scope of '-ish' and as such innovative uses of '-ish' were propagated. Normally, affixation points at high grammaticalisation, but in this case of independence, we could say that a word with grammatical properties has come to exist (a process of lexicalisation). Why could a process of grammaticalisation not entail lexicalisation first? independent -ish reference to adjective --> deictic role / lexicalisation?? For me, "ish" is "pretty much". The beauty of "Yes. Ish." is that it means "You pretty much can punch pretty much anyone". The pause does that. "Yes-ish" is a qualified agreement, meaning more like "I think so" - the pause attaches the "ish" to "you can punch anyone" rather than yes. It sounds fine to me, but "anyone-ish" does not. So I agree with several of the other commenters that the "ish" is modifying "yes" and not "anyone."